Did you know that tooth decay is the most common chronic childhood disease in America, affecting 50 percent of first graders and 80 percent of 17 year olds? At Patterson, we’re hoping to help decrease those percentages through a new partnership with the American Association of Dental Office Managers (AADOM) and Oral Health America (OHA). 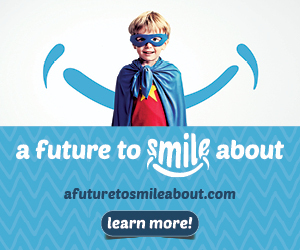 I’m pleased to announce “A Future to Smile About,” a year-long fundraising initiative to benefit OHA’s Smiles Across America campaign, which provides oral disease prevention services to more than 400,000 underserved children each year. For every new AADOM membership between now and January 31, 2016, Patterson and AADOM will each donate $50 to Smiles Across America. It’s a unique opportunity to give back to the industry while also benefiting the dental team through an AADOM membership, which includes continuing education, practice management resources and networking opportunities and support. We’re excited for the partnership with AADOM and OHA, and eager to see how together, we can create a future to smile about! 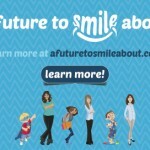 Learn more about A Future to Smile About and join AADOM today! Be sure to use promotion code “OHA15” to ensure your membership counts toward the fundraising campaign. Thank you!